1. 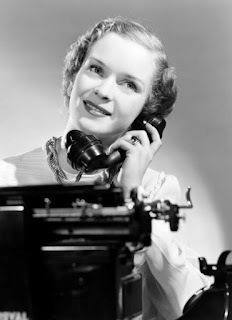 (Journalism & Publishing) (esp in a newspaper office) a person employed to type reports as journalists dictate them over the telephone. 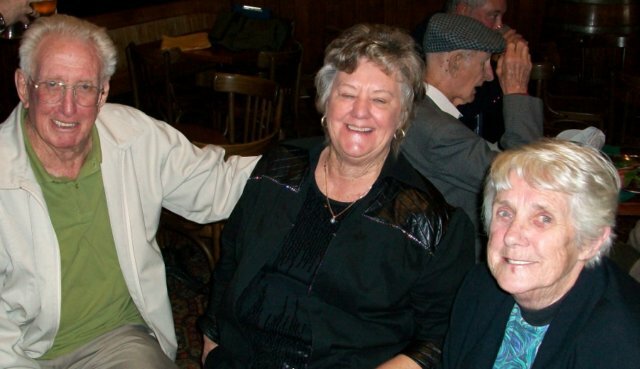 Peg Carter, right, with her late husband Jack ("JJ") Carter and another former Daily News copytaker, Trudi Martin. This was the time I saw Peg and Jack, at a Daily News Reunion in Perth in September 2010. At the end of an especially bad week for print newspapers - with old journos exiting stage left, bemoaning modern standards as they went, Norman Harris shuffling off this mortal coil and young reporters asking, given howlers now so regularly appear in print, whether we should bother pointing them out any longer - Peggy Daphne Carter passed away in Perth. 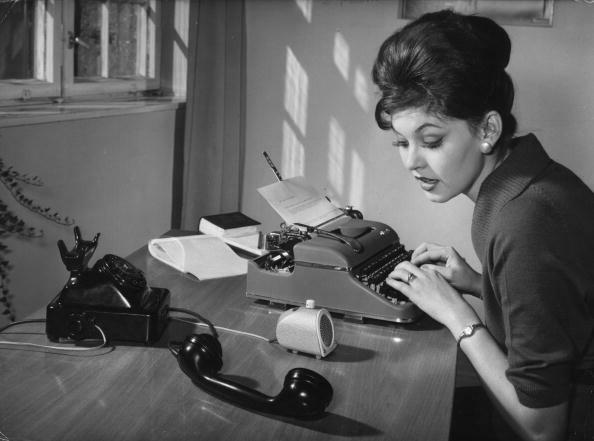 Peg Carter was an ace amongst that lost and much lamented breed, the copytaker. 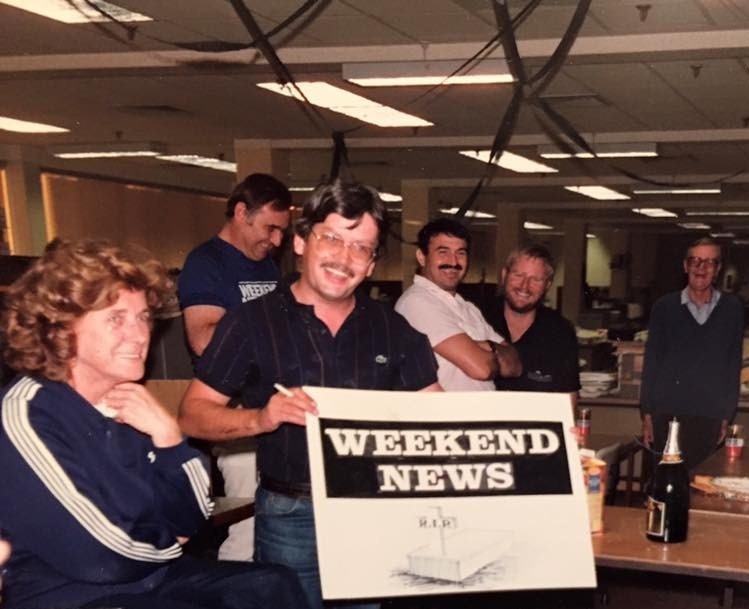 Peg Carter, left, the late John Williams, the late Kevin Biggins, Peter Cogan and the late Brian 'Curl' Menagh at the closure of the Weekend News in the mid-80s. When newspaper proprietors got even greedier than they normally are, in introducing computer typesetting, they eliminated three entire tiers of professionals in one fell swoop. Now, I know that if I was filing this to a copytaker, I would have said to Peg down the phone line, "Foul swoop," and she, of course, would have neatly typed "Fell swoop." That's what good copytakers like her did, and with barely an even vaguely chiding comment. Indeed, the only time I was ever actually chided by a copytaker it was a male, working for The Sunday Times in London, and I was painfully reminded of it when reminiscing about Norman Harris last week. I like to think I took the rebuke well. I learned early about the value of a good copytaker, and thereafter knew to always keep good copytakers onside. A good copytaker, batting for you, could save your skin. In 1968, covering the New Zealand track and field championships in Dunedin, I filed a story about Eddie Gray being beaten in the 10,000m by some Kuts-like tactics from a couple of Aucklanders. "What's that expression, hoist on his own ...?" I asked the copytaker. "Petard," he said. "Hoist on his own petard. But don't use it." "No. It's a cliché. Use something else." A year later I filed a story on the late Ken Wadsworth's first first-class century. When I got back into the office I noted the lede read differently to mine. The guy who had taken my copy, Doug McGilvary, was the chief reporter. He justified his changes. I didn't argue. Patience, tolerance and understanding were the other great virtues of good copytakers. If Peg or one of her team of other copytakers hadn't picked up my "Foul Swoop" mistake, someone from one of those other two long-lost tiers would have. All the people the proprietors so callously dispensed with had contributed significantly toward ensuring newspapers appeared with as few errors in print as was humanly possible. It was never spoken about, but there was nonetheless immense pride taken in producing error-free editions. When a mistake did appear in print, one always sensed a general feeling of, "Let's make sure that doesn't happen again." That is obviously not the case anymore. It should go without saying that those professionals removed from this multi-tiered process are sorely missed today. At the first line were the copytakers. After them came the proof readers and the hot metal compositions (super humans who could read type upside-down and back-to-front). A copytaker never blamed her work tool, not once, ever. Copytaking was, as I have said on this blog before, an art form in its own right. Copytakers not alone corrected copy as they took it down on a typewriter at great speed, from a rarely calm and collected reporter or stringer calling from a phone booth, but also often gently offered useful suggestions, like that word that just refused to come to mind. On the eve of the rebel golf tournament in Kempsey in March 1972, a copytaker on The Australian in Sydney bailed me out with the spelling of hors-d'oeuvre. I didn't even know what one was until an hour or so earlier, let alone how to spell it. 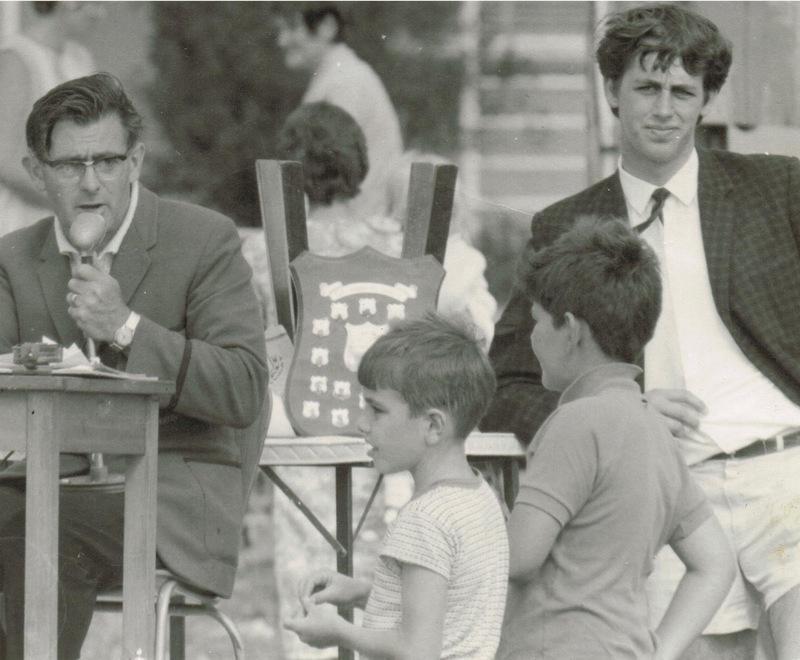 Earlier, at a PGA event at Royal Canberra in late 1970, we found a Sydney colleague couldn't talk down a phone line while within earshot of other writers. He just stuttered and stumbled, endlessly. It didn't worry us, but must have been tough on the copytaker, sitting there waiting on his next clearly enunciated pearl of wisdom. Some ideas from copytakers were unusable, yet lightened the stress of filing under deadline pressure. Like when I was lamenting the failure of Fijian decathletes to reach qualifying distances in the javelin throw at the Commonwealth Games in Brisbane in 1982, and Peg jokingly remarked, "Something must have got lost in the genes." 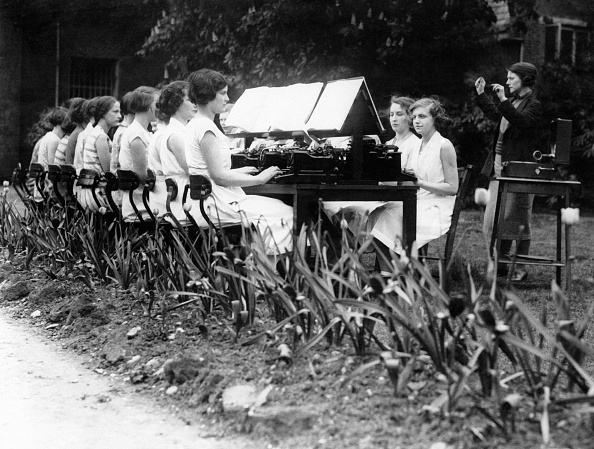 Pestering the busy copytaker was common. Taking copy could be as stressful as filing it. 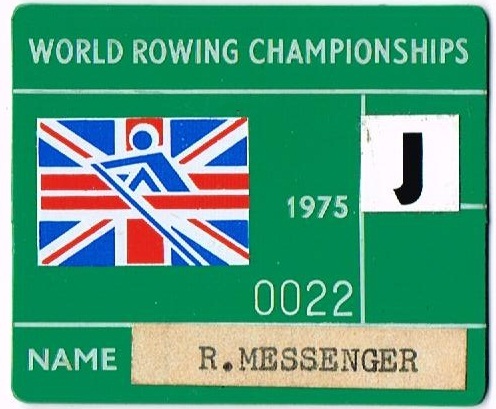 I found out just how difficult a task it could be during the 1976 Olympic Games in Montreal, when, in the absence of proper copytakers, I was asked to take the late Jimmy Meagan's report at the Irish Press in Dublin; Jimmy's inability to express any coherent lines of copy didn't help much. Like many far more experienced copytakers, I found myself having to compose something that made some sense while typing the garbled story. By then I was at least talking the same language. 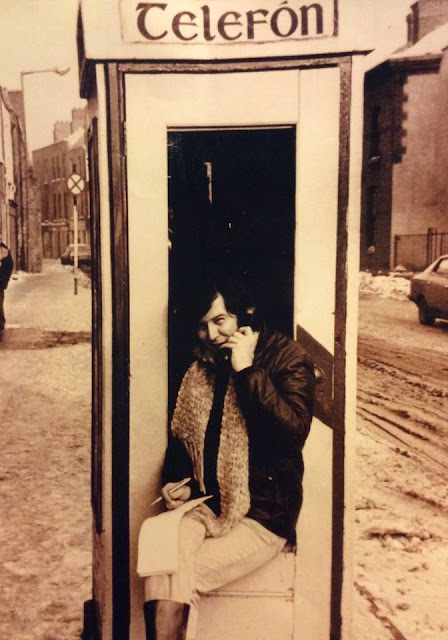 When I first filed for the Irish Press, from Paris in January 1974, the Jackeen copytaker couldn't understand a word of my then mid-Atlantic accent. It was a nightmare. The only embarrassment came in 1976, however, when I filed from Whangarei to Dublin about a blond centre called Chippy Semenoff. It appeared in print as "blind" centre. Not bad for a bloke who could kick a goal from halfway. Copytakers often had news editors or sub-editors hanging over their shoulders, as they shouted instructions ("Tell Messenger one more par!") while the copytaker was trying hard to listen to the reporter. At what is now the Irish Examiner in Cork, in 1973 the Crosbies once gave a till-fiddling accountant a second chance, re-employing him as a copytaker for his gambling sins. One night we caught this poor blighter shouting nonsensically into one of his shoes, like a deranged Maxwell Smart, so flummoxed was he by a bollocking he'd just received from our short-fused EEC correspondent in Brussels. He left us soon afterwards. Happily, his replacement was a blindingly beautiful blonde, Diane, with whom I fell madly in love. "Full point, end quotes, new par ...": An Irish reporter files an unwritten story from a phone booth in a snowed-in Irish rural town. You get the picture. I've told the story here before about Malcolm Brodie, sports editor of the Belfast Telegraph, and his love-hate relationship with a male copytaker. Covering the 1970 World Cup in Mexico, Malcolm read the first line of his report of the Italy-West Germany semi-final - one with which he was most pleased - "Magnifico, magnifico, magnifico." "Heard you the first feckin' time," the copytaker responded. Ah, how we loved copytakers! "Peg saved my arse a number of times when I was a total rookie. Garbled sentences I'd given over the two-way from some prang scene or fire miraculously turned into copy. Even got a byline. Thanks Peg." " ... Peg had lots of knowledge and endless patience. She must have helped launch hundreds of careers." 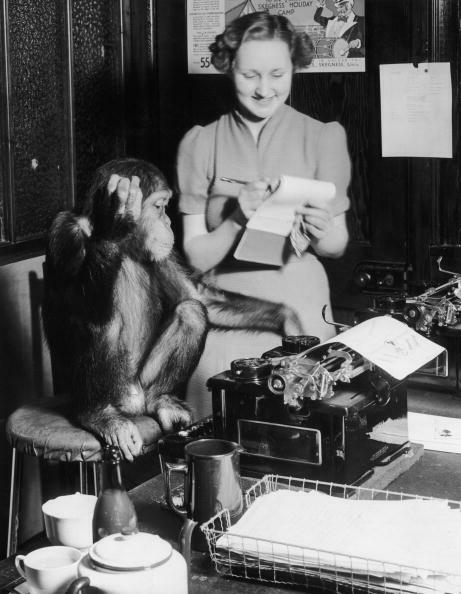 "Peg was wonderfully calm and forceful in getting that very important first 12-word intro out of me right on deadline as I juggled coins and a notebook in the phone box at some far-flung building site during a strike or protest rally as [news editors] hovered over her. A genuine caring person whose common sense, along with many other copytakers, assisted me greatly." "Peg and JJ were a great double act. Both with a glint. If common sense were currency, Peg would have owned a bank. Gentleman Jim Dunbar was a revered cadet counsellor but ... in the heat of deadline battle, Peg was worth JJ's weight in gold." 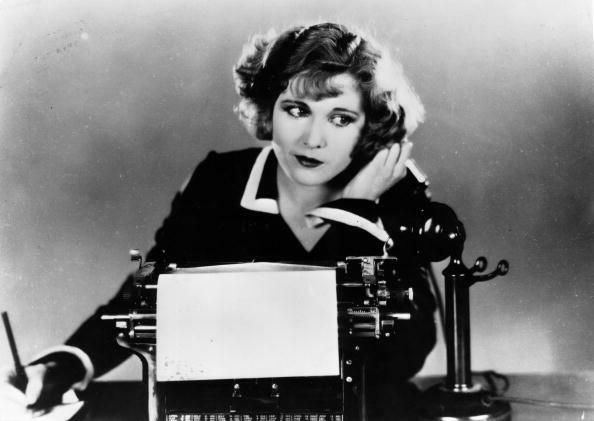 "Like many cadet journos struggling to phone in a story, I quickly learned that when Peggy asked 'Can I read that back to you?' it was code for 'What I just typed for you was total nonsense, try again!' That was after many years of taking copy from young, wet-behind-the-ears young reporters like me. What a diplomat. She was just as diplomatic when I, a junior C grade reporter at the time, found myself behind the chief of staff desk for the first time in the mid 70s. A gentle question to me about what I thought of a particular situation was nearly always an obvious pointer at what I needed to do. Those who have done the COS job know it can be very stressful and sometimes uncomfortable but Peggy had a calming manner, an enigmatic smile and sometimes a mischievous quip that often kept a lid on things. Thanks for the memories, Peg." a crackly two-way radio thrown in as an added handicap. So many times she saved me from sounding a complete nong." "... one clear memory was her calm manner amid all the noise and haste. While all around were losing their heads she kept hers. 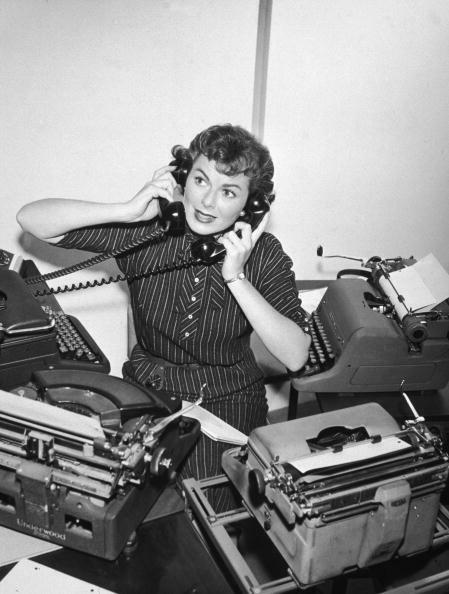 It's amazing to reflect upon the technology in those days: typewriters that weighed a ton atop metal trollies, Peg and her colleagues placing the grubby carbonated sheets on to the inch-wide conveyor belt that spirited the latest news to the subs. You have to smile. It is a world away from now." "Peg certainly had the ability to calm the nerves and focus the mind as you tried to unscramble the thought patterns, decipher your attempt at Pittman's shorthand and come up with a newsworthy piece as the minutes ticked by." "Peg was a wonderful 'mother' to us, working in her quiet efficient manner to save many of us from inexperience or ineptitude ... Real warmth and a down-to-earth disposition made her special! It's impressive to read how Peg touched our lives, many memories of long ago - characterised by quite cumbersome, daily activities." These words give some indication of how much reporters relied on copytakers. 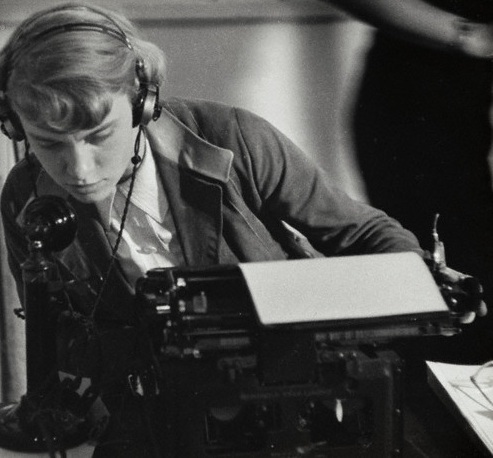 A BBC radio news copytaker catches every word in 1939. Peggy Daphne Campbell was born in Camberwell in London in December 1931, the eldest child of Sydney Alfred John Campbell (1909-1972) and his wife Dora May (nee Barrett, 1908-1987). 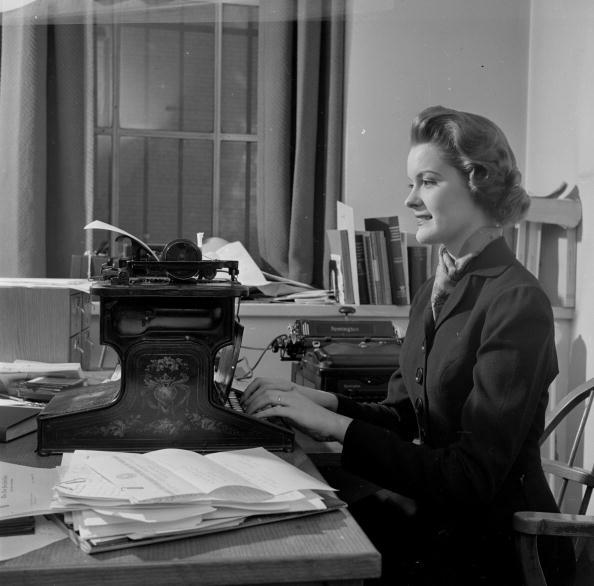 Peg left Southampton for Fremantle on the Moreton Bay with another 22-year-old fully qualified shorthand-typist, Hazel Blake, on July 16, 1954, arriving in Australia that September. She found a place to live on Scarborough Beach Road and a job taking classified ads down the phone line at The West Australian. 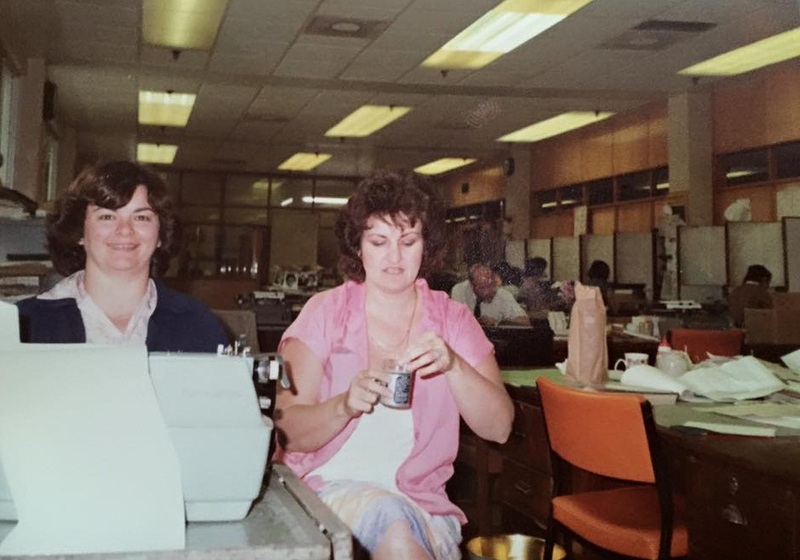 Peg moved to the Daily News as an editorial copytaker in the early 1960s and later became personal assistant to the chief of staff, with responsibility for the newspaper's copytaking team. That brilliant copytakers such as Jan Belcastro, Trudi Martin and Deanna Sholdas became so efficient at their jobs was due in at least some part to Peg's expert training, advice and guidance. In 1968 Peg married Noel Atkinson, a clerk at West Australian Newspapers, but Noel died, aged 48, in 1970. Where copytakers went to learn their craft. Or so I imagined. On a company river cruise in 1976, Peg tripped and fell overboard into the Swan River. Jack ("JJ") Carter, a former head compositor who was chief of staff on the Weekend News and deputy sports editor on the Daily News, quickly dived into the water and saved Peg's life. Naturally, they became very friendly and at the Registry Office on Harrow Road in Paddington, Westminster, London, on August 27, 1977, they married. They returned to Australia and continued to work together for the Daily News until their retirements in the late 1980s. The Daily News closed on September 11, 1990. Did copytakers ever dream of switching roles, and becoming reporters while the idiot reporters took down the copy? 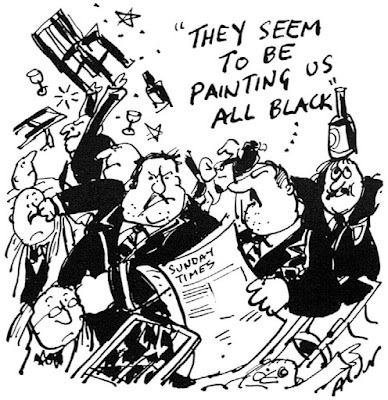 Printer's ink was in Jack Carter's blood. He was possibly the only person in the world to ever take down from the phone, write, sub-edit, typeset and print his own newspaper story. It was about the Cadoux earthquake in June 1979. Jack was turning off the lights and locking up the office at the end of a Saturday shift at the Weekend News when word of the 6.1 jolt came through. Using his training as both a compositor and a journalist, Jack wrote the copy, typeset it on a Linotype, hauled back the page one forme and put the new type in, then restated the presses himself. People who could do that don’t exist any longer. Jack Carter, born in Perth on May 27, 1926, died in January 2013, aged 86. 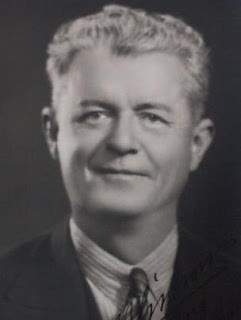 Through his mother, Eily, he was the nephew of the legendary newspaperman John Joseph 'Boss' Simons (1882-1948), a youth organiser committed to social improvement, Australian nationalism and the Labor Party. The 6ft 4in Simons was a strong debater, knowledgeable about Australian writing, an advocate of military, naval and industrial self-reliance and an organiser of "Buy Australian" campaigns. As secretary of the Western Australian National Football League in 1905-14 and founder of the Young Australia League (1905) he consolidated Australian football in Western Australia. With Paddy O'Dea, Simons tried to introduce the Australian code to California in 1911, before O'Dea pulled his famous disappearing act to avoid jail for embezzlement and bigamy. Simons and Victor Courtney founded the weekly the Call in 1918 and the Mirror in 1921. Headlines like "Nakedness at North Beach" made the Mirror a big seller. In 1935 Simons and Courtney bought Perth's Sunday Times for £55,000. 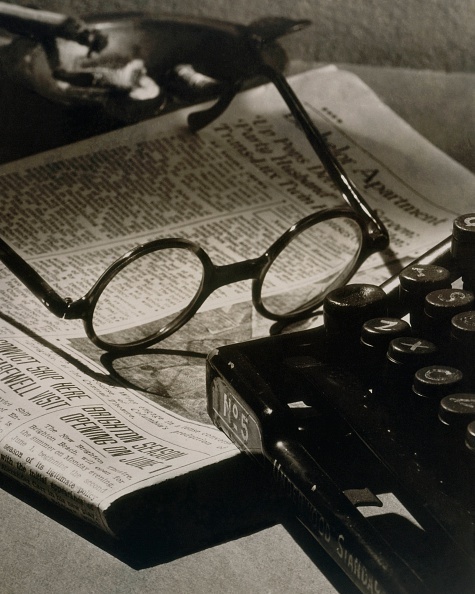 With Simons as managing director, Western Press Ltd and Country Newspapers Ltd expanded to three metropolitan and more than 30 country newspapers. In 1941 Simons assigned his interest in Western Press in trust for the YAL. This yielded more than £50,000 after his death from hypertensive heart disease. "Hold the line, Arthur, I've got Ross calling from Kalgoorlie on line two." "Can you hear me, Nick?" Ugly, gangling, pockmarked Australian fast bowlers trying to make heroes of themselves by snarling at fresh-faced debutants. Gee it must make them feel big! But it's just not cricket. No, the cricket we grew up loving was the prince of games, and it was played by princes, not ponces. Real princes. Handsome princes. 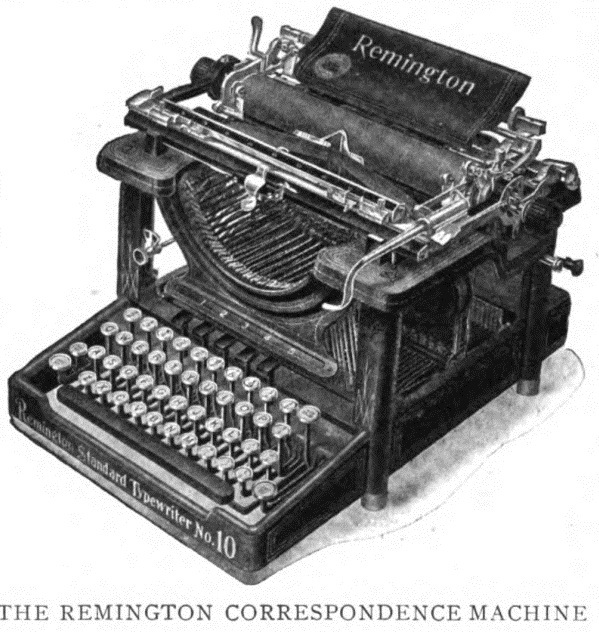 Princes with Remington typewriters. Day-night Test matches, all over in fewer than nine sessions. Pink balls. Wickets on which 1672 runs are scored for just 28 wickets. That's not cricket either. Give me an uncovered wicket, a small, light, flat bat, a leg glance and Colonel His Highness Shri Sir Ranjitsinhji Vibhaji II, Maharaja Jam Saheb of Nawanagar, GCSI, GBE, KCIE any day. Old-timers take about two seconds to name their five batsmen of all time, not that they've seen them all play: Bradman, Hobbs, Trumper, Sobers and "Ranji". 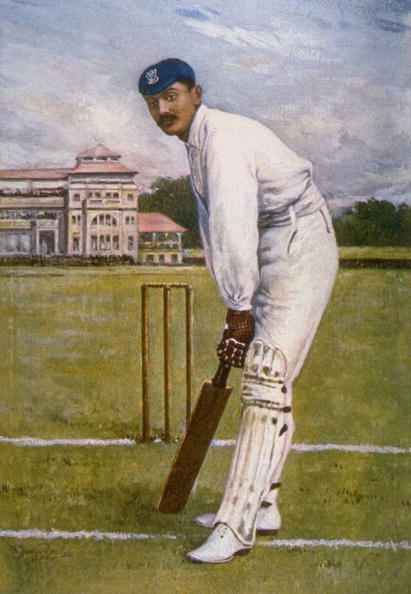 "Ranji", "the lion who conquers in battle", played for England, Cambridge University and Sussex. Sir Neville Cardus described him as "the Midsummer night's dream of cricket" and wrote, "a strange light from the East flickered in the English sunshine". Unorthodox in technique and with fast reactions, he brought a new style to batting and revolutionised the game. "Ranji" was born on September 10, 1872, in Sadodar, a village in Nawanagar in the western Indian province of Kathiawar. 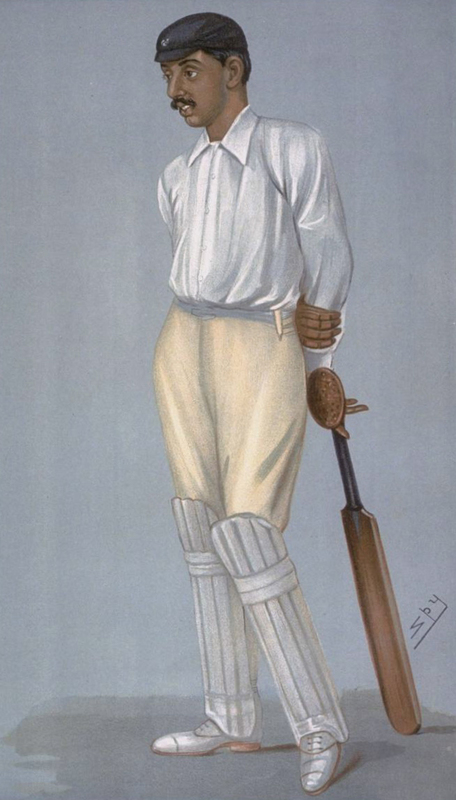 A year after making his Test debut for England, in August 1897 the young man published The Jubilee Book of Cricket, a critical and commercial success. 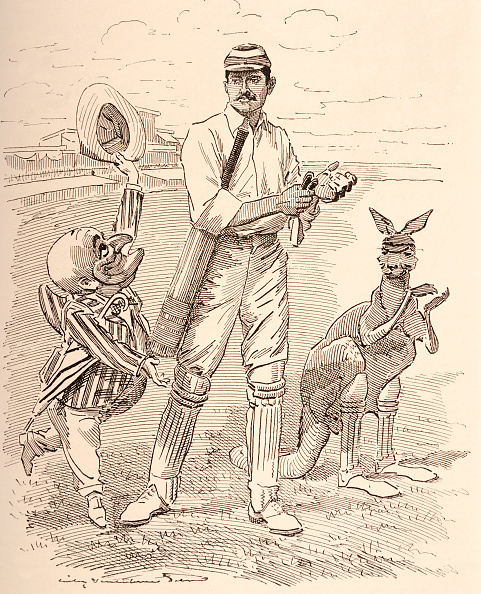 During his first tour Down Under, in 1897-98. he wrote a series of articles for an Australian magazine, followed by a book, With Stoddard's Team in Australia. 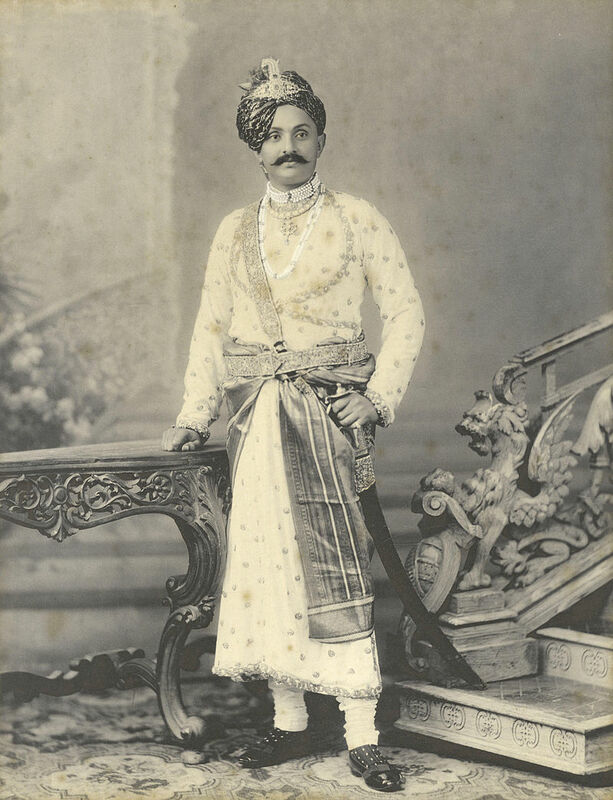 "Ranji" died of heart failure on April 2, 1933, after a short illness. He was 60. 1. an exclamation of disdain, contempt or disgust. 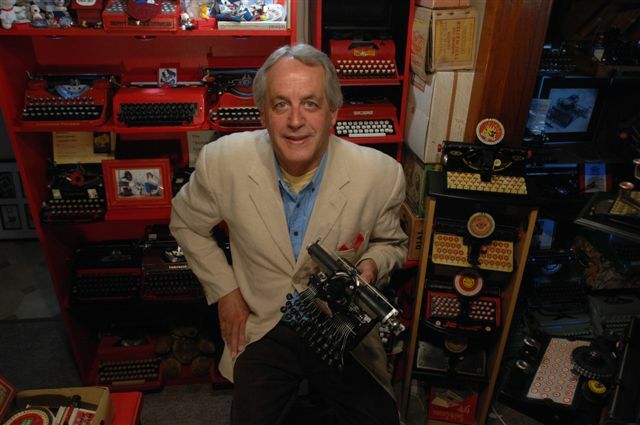 Warnings against the use of typewriters on aeroplanes in this day and age are contained in Richard Polt's book The Typewriter Revolution. 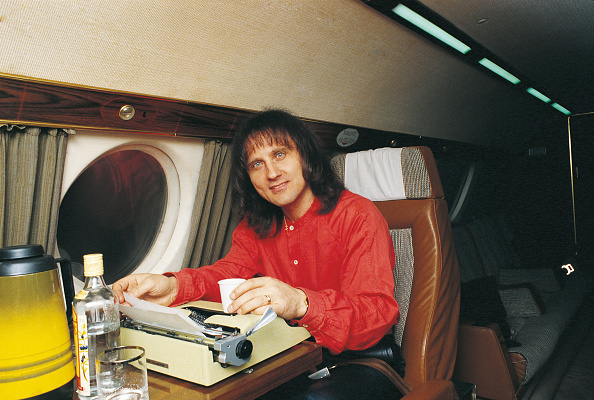 Perhaps frustrated revolutionaries can take some succour from this image, of Roby Facchinetti, leader of the Italian band Pooh, using his Olivetti Lettera 32 portable typewriter, albeit fortified by a bottle of Gordon's London Dry Gin, on a plane in 1980. 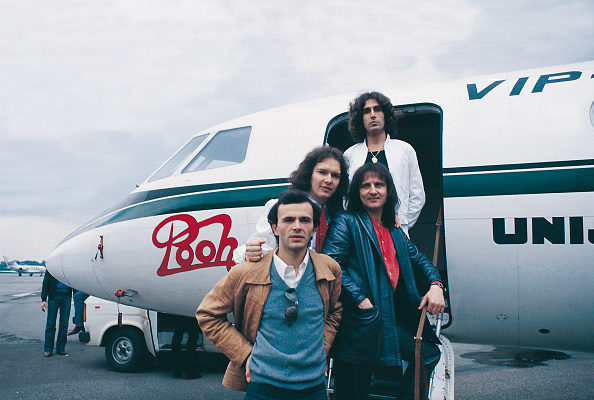 Admittedly, it is the band's own plane! Pooh 31 years later, in 2011. Like an Olivetti Lettera 32, they keep on keeping on. Pooh, formed in 1966 in Bologna, is referred to in the plural as i Pooh (the Pooh). They have sold more than 100 million records. 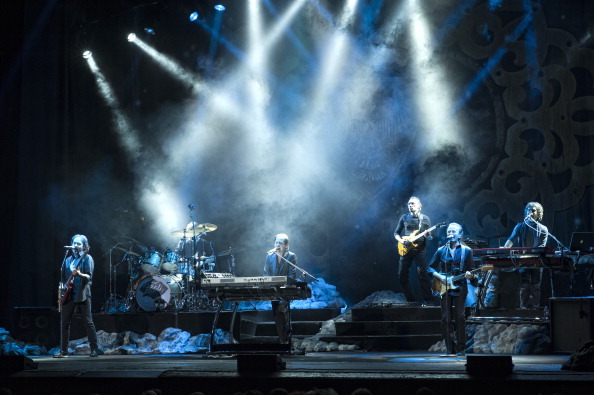 Facchinetti (born Camillo Ferdinand Facchinetti in Bergamo on May 1, 1944) is the singer and keyboard player. 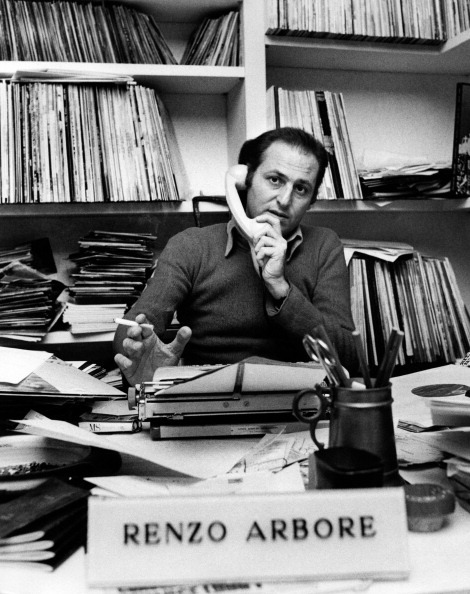 Lorenzo Giovanni (Renzo) Arbore, seen here with an Olympia SF portable typewriter, is an Italian TV host, showman, singer, musician, film actor and film director. 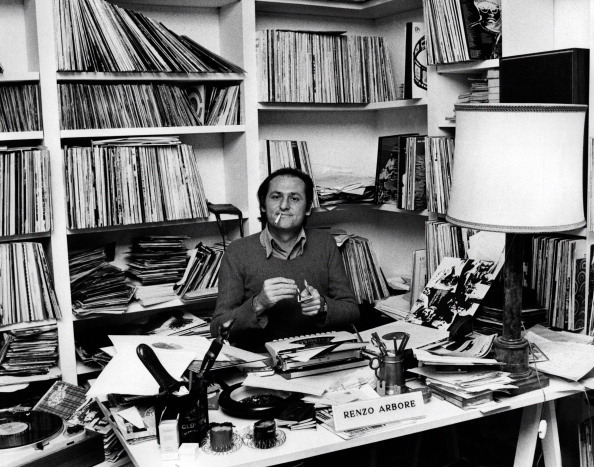 He was born on June 24, 1937, in Foggia, and became a cult figure on Italian television. 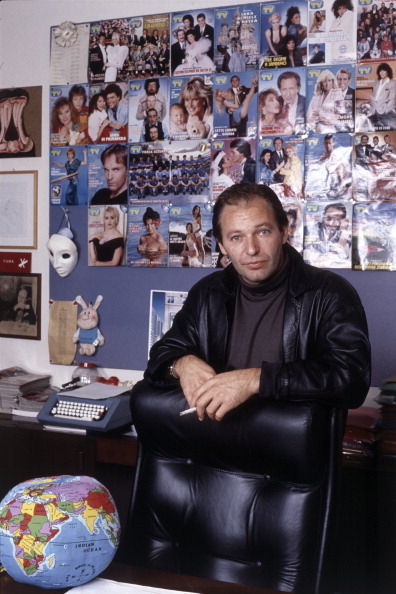 Below, Italian singer-songwriter Vasco Rossi with an Olivetti Studio 46. Rossi, also known Il Blasco, was born on February 7, 1952 in Zocca, Emilia-Romagna. He has released 26 albums and written more than 250 songs. 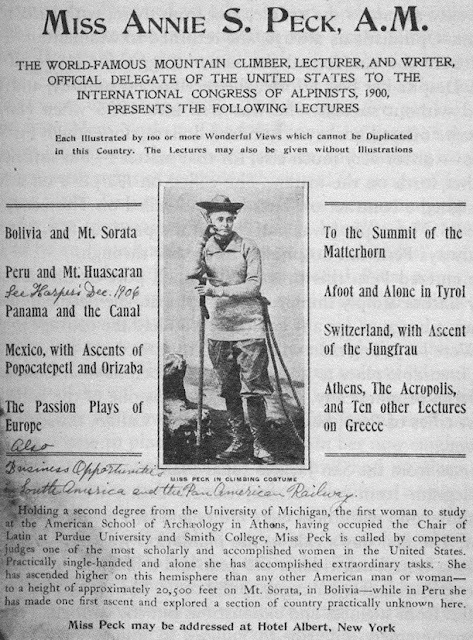 Pioneering American mountaineer Annie Smith Peck took a Blickensderfer Featherweight portable typewriter on her South American expeditions, which included her record feat in scaling Huascarán Norte (21,831ft) in the Peruvian province of Yungay in 1908. Blick packed? 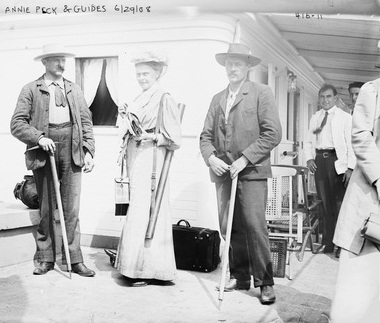 Heading for Huascarán with her two Swiss guides in 1908. Annie was a little out with her calculations. Modern technology might have helped her in at least that one regard. 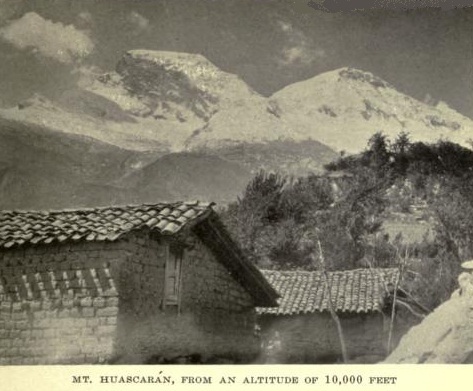 The summit of Nevado Huascarán is the place on Earth with the smallest gravitational force. I have often argued that one could take a Blick to the ends of the earth - to a mountain top, Antarctica, the middle of a desert, or a desert island for that matter - and it would still produce printed copy. The same cannot be said for any machine made today. 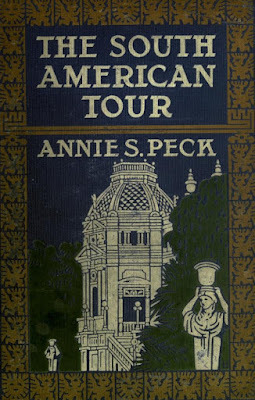 Annie Smith Peck was born in Providence, Rhode Island, on October 19, 1850, the daughter of a member of the United States House of Representatives. As a woman, she was refused admission to Brown University. After teaching at Saginaw in Michigan, she attended the University of Michigan and graduated with honours in 1878 and earned a master’s degree in 1881. 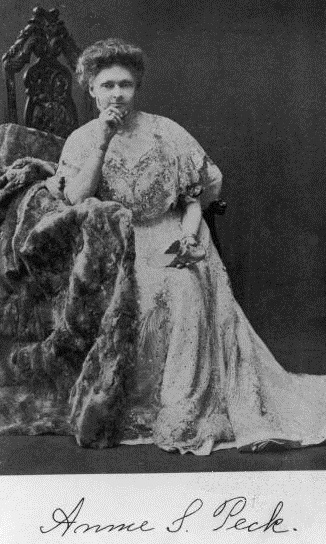 Peck became the first woman to attend the American School of Classical Studies in Athens in Greece. 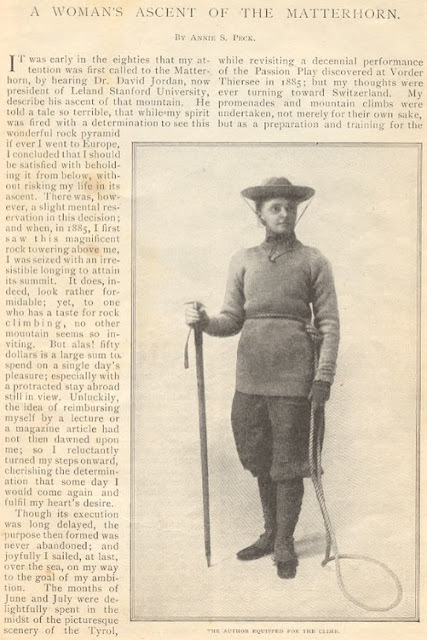 In 1885 she discovered an enthusiasm for mountaineering. Until 1892 she was a pioneering professor in the field of archaeology and Latin at Purdue and Smith College. She ascended Matterhorn but was widely criticised for wearing trousers. Her ghoulish face mask didn't seem to matter! 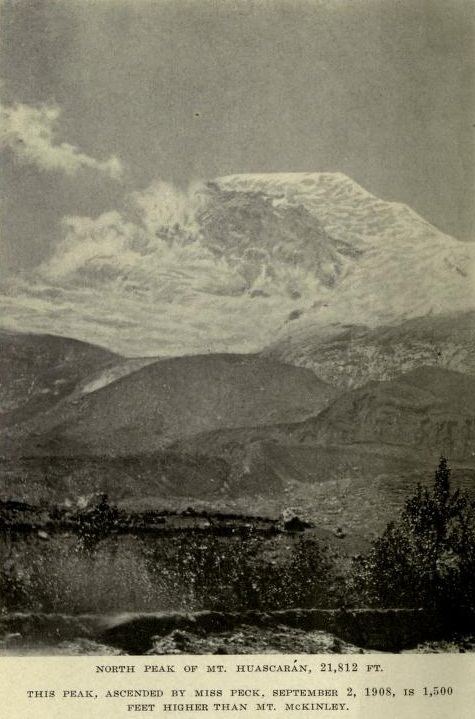 Peck began to climb, lecture and explore in Latin America, and first travelled to South America in 1903. 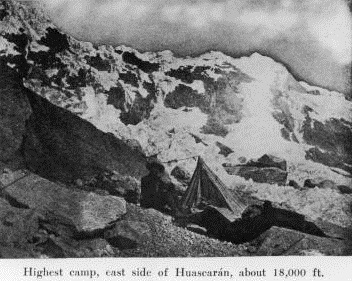 She wrote a book about her experiences called The Search for the Apex of America: High Mountain Climbing in Peru and Bolivia, including the Conquest of Huascarán, with Some Observations on the Country and People Below. The northern peak of the Huascarán was named Cumbre Aña Peck in her honour in 1928. 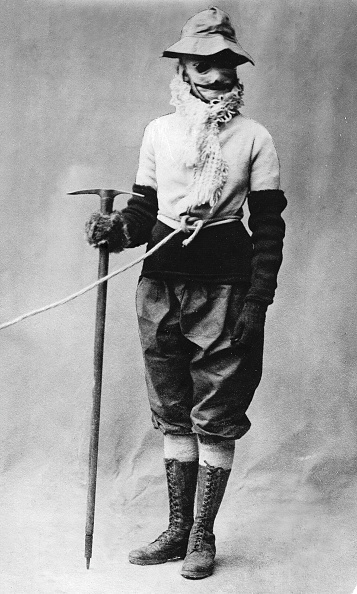 She achieved a first ascent of one of the peaks on the five-peaked Mount Coropuna in Peru in 1911 when she was 65. She climbed her last mountain, New Hampshire's Mount Madison, at the age of 82. An ardent suffragist, when she reached the top of Coropuna, Peck placed there a “Women’s Vote” banner in honor of the Joan of Arc Suffrage League. 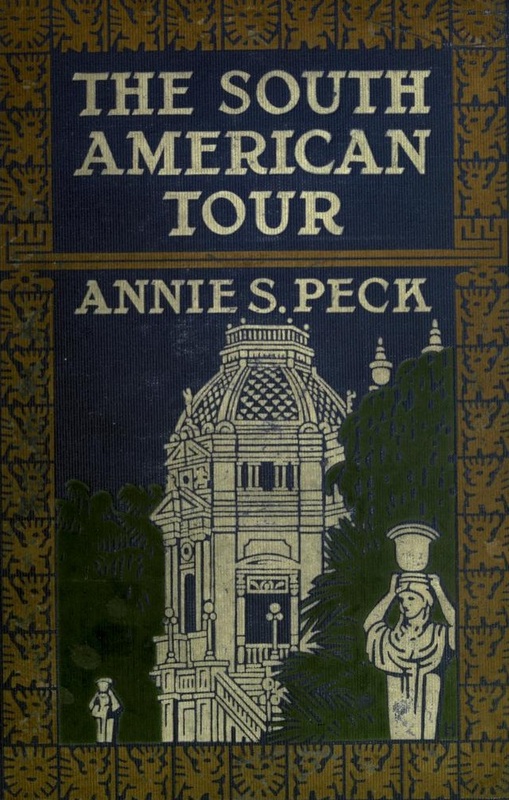 After her return she wrote two books, Industrial and Commercial South America and The South American Tour: A Descriptive Guide (an early Planet Earth), and later Flying Over South America: Twenty Thousand Miles by Air. Peck started a world tour in 1935, at the age of 84, but became ill while climbing the Acropolis of Athens. She returned to her home at the Hotel Monterey in New York. where she died of bronchial pneumonia on July 18, 1935. With prompt advice from Nick Bodemer and Richard Polt, I was able to get the platen out of this 1937 Royal portable, so I could investigate possible corrosion on the feed roller plate. The rod had refused to move more than a few inches. Nick suggested lots of lubrication and some firm toggling, which eventually worked and allowed me to pull the rod out from the right side (with a gentle tap of a hammer, as put forward by Richard). Now, however, I am stumped by another problem. I noticed the spacebar was a little too far back, almost under the front bank of keys, and at a slight angle. It was nonetheless working fine. There are no bends in the arms of the spacebar, so the cause of the angle had to be elsewhere. Sure enough, underneath the machine, the rod on to which the arms attach is at a very pronounced angle. One end of the rod has come away from its slot and is wobbling about freely, back and forward - and in doing so disrupting the movement of the ribbon colour switch and the shift key and shift lock. Easily fixed, or so I thought. Once the rod was slotted back into place, it lined up properly, as did the spacebar. But the spacebar just refused to budge. (Yes, the tabs under the spacebar are under the front lip, so that's not what's stopping the spacebar moving.) I suspect now that a previous owner might have pulled the rod out from its slot, for this very reason. There must be something preventing the rod turning in its slots and the arms moving up and down, something which I cannot spot. As I said, the spacebar works OK without the rod being properly attached, but it moves all over the place and interferes with the shift mechanism. I assumed the rod and its arms would simply pivot once it was slotted in, but it doesn't. Yes, it's the same bloke! Appearing in The Canberra Times on February 5, 1989, more than eight years before I arrived here! This photo illustrated part of a series of articles on health and fitness Norman Harris wrote and which were syndicated by London's The Independent. The series was developed from Norman's 1982 book, The Sports Health Handbook. As with rock 'n' roll, I was constantly a good few years behind Norman! 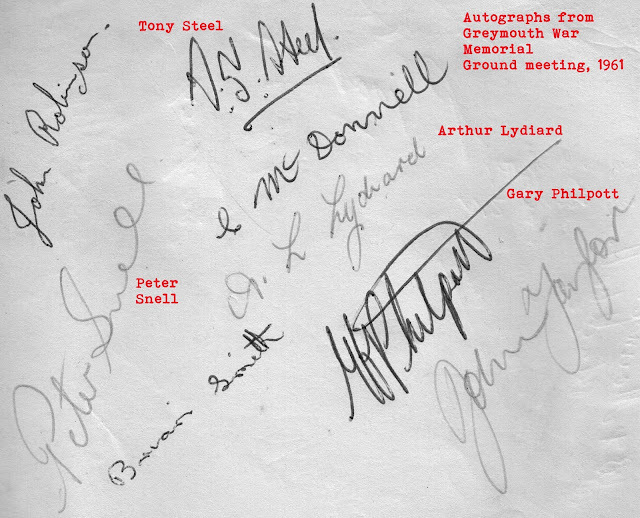 in early January 1963, one of the most memorable sporting events I have ever seen. holding Snell off. That's not my 52-year-old recollection of how it happened. as if Forman had been hit by a shotgun. By the way, Bowerman picked up the jogging craze in New Zealand at this time and took it to the US - the word "jogging" having been coined by Norman Harris. Writing a tribute to my old friend yesterday recalled many very special memories. Among the myriad of things I admired about Norman as a journalist was his indomitable grit and persistence in getting a story. On May 24, 1976, I was sitting in a hotel room in what I regarded as "the end of the earth", Palmerston North in the Manawatu in New Zealand, when, unexpectedly, the phone rang. It was Norman, calling from London, 11,632 miles away. How he had succeeded in tracking me down to that room, at that time and on that day, in that place, I shall never now know. It wasn't like me to stay put in the one spot for very long. Maybe Norman just got lucky. But with Norman, it usually had a lot more to do with exceedingly good planning, organisation and execution. 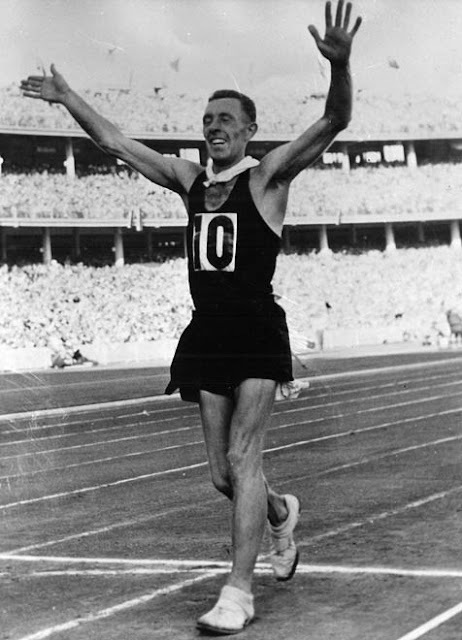 Norman Read wins the 50km walk in Melbourne in 1956. We both worked for the sports section of London's venerable The Sunday Times, Norman as a staff member and me as an Irish "stringer" (a well-paid and fulfilling gig for which I'm sure I had Norman to thank). The Sunday Times was planning a colour magazine special edition leading into the Montreal Olympic Games in July of that year, and Norman had determined it should include a lengthy feature on Norman Read. Read was an Englishman who, denied the chance to represent Great Britain and Northern Ireland at the 1956 Olympic Games in Melbourne, switched allegiance and stunned his countrymen, both old and new, by winning the 50km walk gold medal for New Zealand. Twenty years later, Norman Harris had in mind a "Where is he now?" piece. He knew where Read was (in New Plymouth) and put me in contact with the walker for an interview. 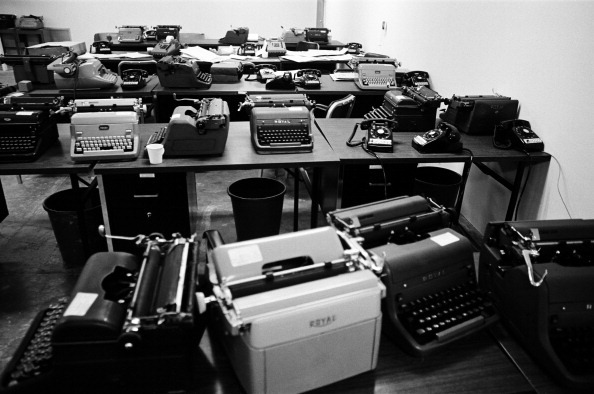 I remember it as one of the best poundings I ever gave my Olivetti Lettera 32 portable typewriter - the story ran to some 1300 words, as I recall. Of course, Norman Harris had arranged for it to be cabled to London. It was one of many assignments that I was happy for Norman to send my way. Over a period of almost 20 years, our paths crossed frequently, and I never found him anything other than gracious, humble, helpful and friendly. If only I could say as much for many other journalists I worked alongside, especially in the mid-70s. I like to think that in small ways I was able to return the favours: a lift to the airport here, a tip-off on a possible story there. When I returned to Australia and re-married, my well-to-do English mother-in-law asked what I wanted for Christmas. I told her an annual subscription to The Sunday Times, so I could keep abreast of Norman's writings. Not once was I ever less than impressed by anything he wrote. Norman's father (Norman always called him "Father") was intensely proud of his son's writings but never overtly so. My dad was a little different, in that he took the attitude "Until you start earning money from it, I'll take you to any event, and arrange for you to meet any person who will assist you in achieving your ambition." Thus I got to meet Norman Harris for the first time, at a little stadium called Trafalgar Park in a cathedral city called Nelson, on January 5, 1963. I was not yet 15, but already an avid reader of Norman's athletics stories. trying to shake off Oregon's Dyrol Burleson in Nelson. Burleson, sixth behind Herb Elliott in the 1500m at the 1960 Rome Olympics, was scheduled to run the last leg against Snell, but in an unsuccessful tactical move, switched places with Forman. Burleson thought he could give Forman a start on Snell - bad move! He had underestimated Davies' ability. 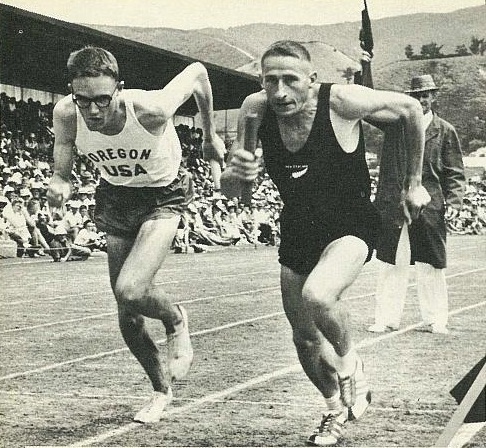 The event was an international track and field meeting of which the high point would be an unusual match race, a 4 x one mile "Test" between world record holders Oregon University and former world record holders New Zealand (which had broken the record at Santry Stadium in Dublin in 1961). 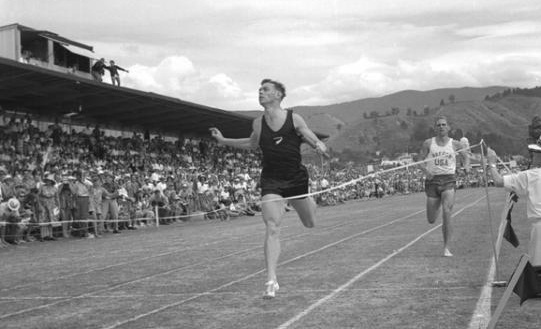 The first "Test", at Eden Park in Auckland, had turned into a farce after Oregon's lead miler, a Canadian called Vic Reeve, tripped on a small flag post and fell as he rounded the last bend entering the home stretch on the first leg (these flag posts were not used in America). So a second "Test" was organised for the end of the tour, in Nelson, and my dad drove me there and back in a day (with my brother Ron and rugby friends Neil McAra and Brian Vieceli). It was a wonderful afternoon, capped by a marvellous, unforgettable race. The teams, far more concerned with winning than times, went nowhere near the world record, but what an incredible contest of wills! 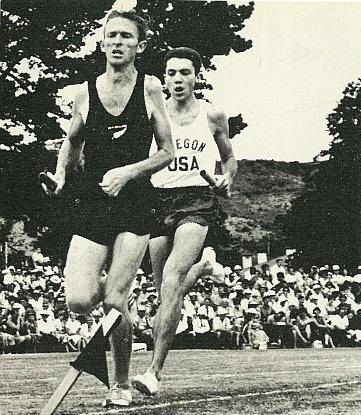 It wasn't the first time I'd seen Peter Snell run (that was in Greymouth in 1961), but boy I'd never seen anyone move that fast and that smoothly at the end of a mile (and only once since, in the form of John Walker at Belfield in Dublin in 1977). leads off for New Zealand in Nelson against Canadian Vic Reeve. Even at this point, our hearts were pounding with the intense excitement! Among the tensely packed crowd of 13,000 at Trafalgar Park that day were two young locals, future champions John Dixon and his brilliant brother, the then (also) 14-year-old Rod (Olympic 1500m bronze medallist in Montreal and New York Marathon winner). In early 1969 I was sports editor of the Nelson Evening Post (at age 20!) and was at Trafalgar Park one evening when John and Rod attempted to break four minutes for the mile on that grass track. A few weeks later I was at the Recreation Ground in Greymouth when John Dixon erased Peter Snell's West Coast half-mile record, which I'd seen Snell set (in fact I held the finish tape) on the War Memorial Ground in Greymouth in 1961. Small world, small coincidences that stick in the memory! Me, right, watching John Dixon run at the "Rec" in 1969. Trevor Sweeney is at the mike on the left. which set a world record at Santry Stadium in Dublin later that same year. Santry Stadium in Dublin in 1958). of 5min 16.8 in Helsinki in 1937. It stood for five years. Above, the Oregon team of 1962-63 - from left, San Romani, Reeve, Burleson and Forman. 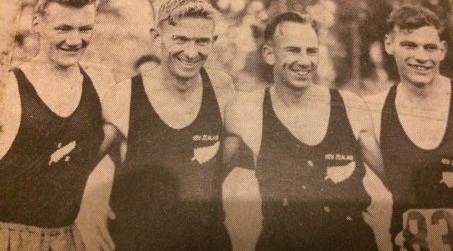 Below, the New Zealand team in Dublin in 1961, from left, Philpott, Halberg, marathoner Barry Magee and Snell. 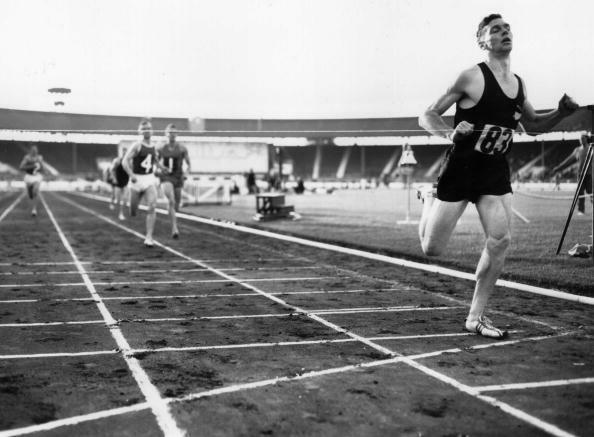 Snell wins a half-mile at an empty White City in London in June 1961. Daylight was second, third, fourth and fifth. I arrived at The New Zealand Herald sports department in Auckland in late 1967, almost two years after Norman had decamped for England. He was eight years ahead of me in age and probably a decade ahead of me in just about everything else (except for his writing, which I could never match). He even wrote of The Canberra Times long before I did! He found the soothing delights of Skibbereen in Ireland before me. Wherever he'd been, it seemed I followed, although more often from coincidence than design. Those coincidences came to haunt me last week when I went looking for where Norman was. My next port of call in this search was going to be a good mutual friend, Ron Palenski in Dunedin, but it was too late at night to be bothering Ron. The next morning Ron let me know Norman was dead. Back in the 70s, undaunted by the gap between us, I kept on pursing. I had long since decided that Norman's was the path to follow for a would-be Fleet Street sportswriter. In late 1972 the BBC flew me to London twice for interviews for a job with its Overseas News Service sports unit. Each time I took the opportunity to call in on Norman at Gray's Inn Road, and my happy ties with The Sunday Times started there. I also saw Norman during the 1972-73 All Blacks rugby tour, but fortunately wasn't at Peebles the day he was clobbered by Keith Murdoch (otherwise I'd have probably got involved, and also come off second-best). Norman did tell me what happened, but not the sanitised family-friendly version now found online. There was, Norman said, another reason Murdoch wanted into that hotel room. Norman and I caught up again during the 1974 All Blacks tour and twice at the Crystal Palace track in London in 1975, once on a sunny Saturday afternoon (May 31), the other time on a warm Friday evening (August 29). I was in Nottingham covering the world rowing championships at Holme Pierrepont when John Rodda of The Guardian suggested he organise press passes and we jump into his red Mini, drive down to London, and watch New Zealander John Walker and Rod Dixon run in a mile event, after the rowing semi-finals had finished. Walker was Snell's successor as the world's greatest miler, the first man to run under 3min 50sec (in Gothenburg on August 12). 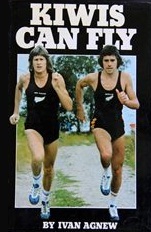 This Walker-Dixon tour of 1975 led to Ivan Agnew's book Kiwis Can Fly. I had worked with Ivan in Greymouth from 1965-67, and the last time I had seen him was in the Press Box at Carlaw Park in Auckland during an Australia-New Zealand rugby league Test in June 1971, which I covered for The Australian. Lo and behold, I walked into the Press Box at Crystal Palace in London that August 1975 evening, and found myself sitting beside Ivan and in front of Norman! 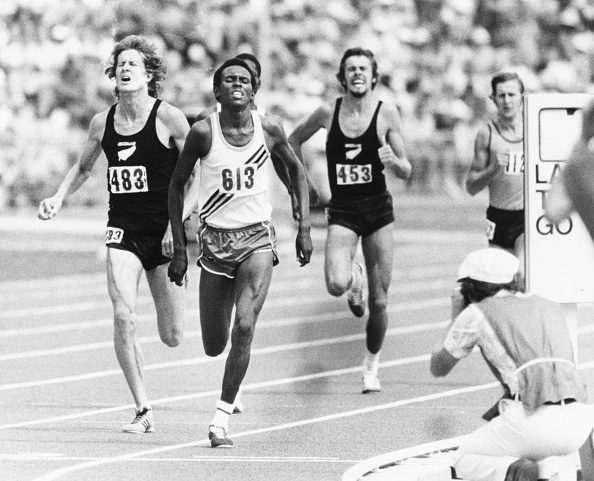 John Walker, left, and Rod Dixon, centre, beaten by Filbert Bayi of Tanzania in a world record time in the 1500m final at the Commonwealth Games in Christchurch, New Zealand, in 1974. The bloke who ran last in this race was Randall Markey, a fellow former West Australian journalist and a close friend of mine. He took a scholarship to Oregon University and now works in Canberra. Gee, it is a small world! 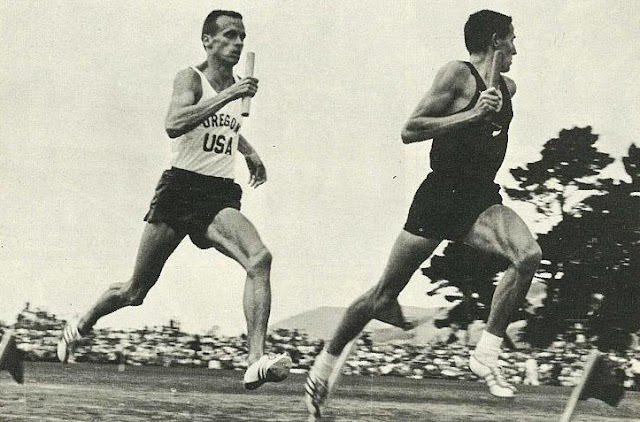 One regret I have is that Norman was still not writing athletics in New Zealand when my friend Dave McKenzie came along and won the 1967 Boston Marathon in record time, then ran 2hr 12min 25sec (still a very fast time) in Fukuoka. Dave, who was a printer at The Greymouth Evening Star when I started there as a cadet reporter in 1965, ran in two Olympic Games marathons, in Mexico City in 1968 and Munich in 1972. 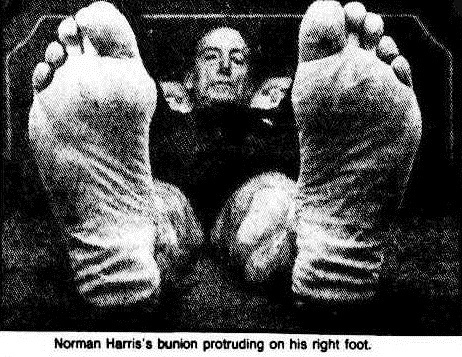 He'd have been perfect material for one of Norman's in-depth books about the running obsession, like his work on Neville Scott. Norman spoke on Radio New Zealand about distance runners being totally self-absorbed while competing. Dave loved horse racing, even more than running (his favourite story of mine was about the Melbourne Cup, not about him! ), and Harry Van Looy, a Dutch immigrant and marathon runner who died in the 1967 Strongman mine disaster, often surmised that Dave thought of himself as Phar Lap when he ran marathons. It's a notion into which Norman would doubtless have delved. By the way, Dave had a very close friendship and rivalry with another Runanga runner, English cross-country champion Eddie Gray, who was a cousin of Ivan Agnew. Did I say it's a small world? 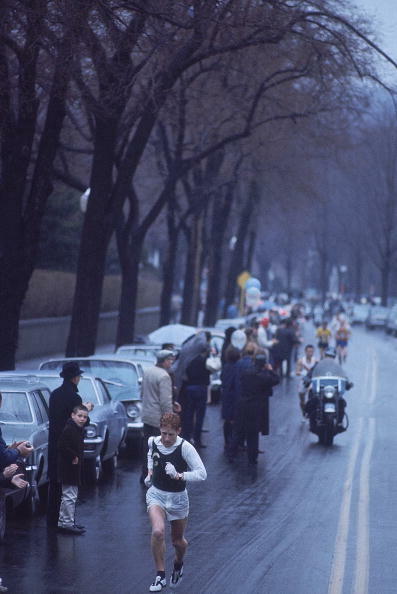 in a wet and windy Boston Marathon in 1967. In everything he did, of course, Norman was as professional as they come. He prided himself on that. So it was a bit sad to read in his 2010 autobiography Beyond Cook's Gardens: A Writer's Journey that, 26 years after the event, he was still smarting about the one great gaff in his 55-year career. It happened at Lansdowne Road in Dublin on February 4, 1984, when a desperate Wales beat Ireland in a rugby union international. Norman had been meticulous in his planning to cover the match, yet he missed the identity of the Welsh try scorer. He got No 13 instead of No 12 (or was it the other way around?). In the excitement and the confusion, he turned for confirmation of his assumption to an off-duty Irish journalist, and got the wrong nod. Reading this, I felt awful, but at the same time kind of grateful I'd ceased covering Irish rugby five years previously, and was no longer sitting alongside Norman in the Lansdowne Road Press Box. 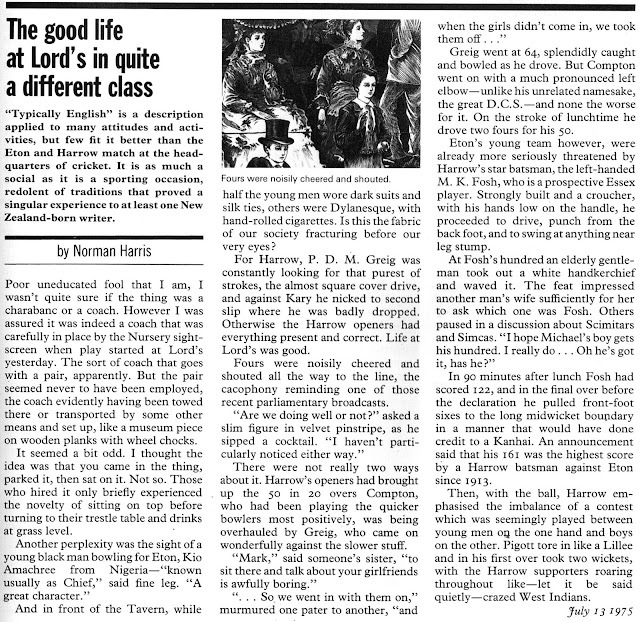 It wasn't my fault Norman got the wrong man into his newspaper's first edition, and was left lamenting it for more than a quarter of a century, but I still hated reading that it happened. Good friends were always only too willing to help Norman, because he was always a good guy. Toward the end of his life, Christopher Martin-Jenkins got him the gig of covering Durham county cricket for The Times, which he continued until 2013. That was merely one last favour. He was fully entitled to that. The Prince of London: What a Guy!